History is Alive at Doylestown Cemetery! 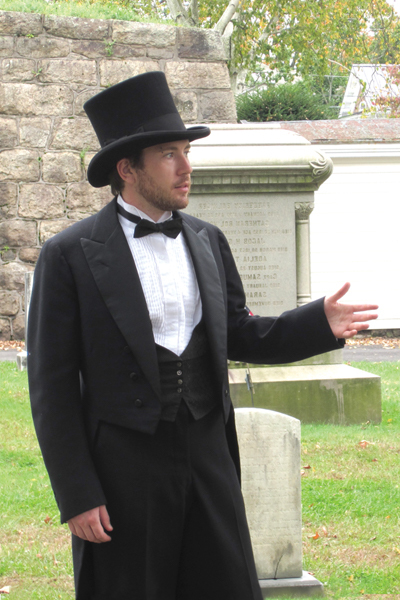 The Historic Doylestown Cemetery Guided Walking Tours began in 2012 as a gift to Doylestown's celebration of 200 years of Doylestown becoming the County seat. 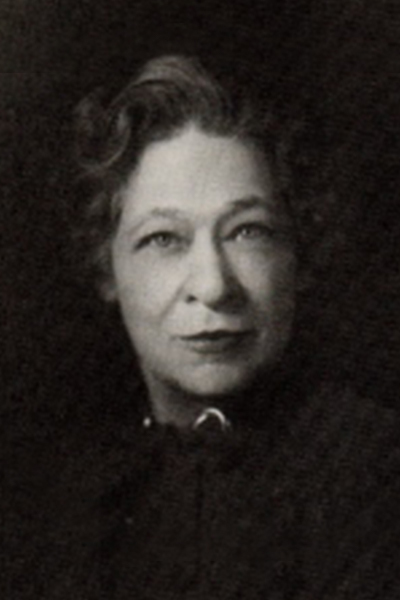 Find out about historical figures, artists, writers, political leaders, scientists and industrialists that lived in Bucks County. Explore the 19th-century tombstones or walk through the arboretum and gardens with our arborist. 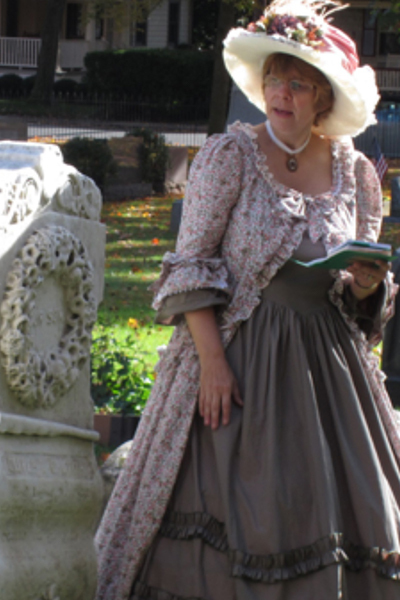 If you would like to book a private walking tour or if you would like to hire a speaker for your group or organization contact Kat Landis at tours@doylestowncemetery.com or 215-348-3911. 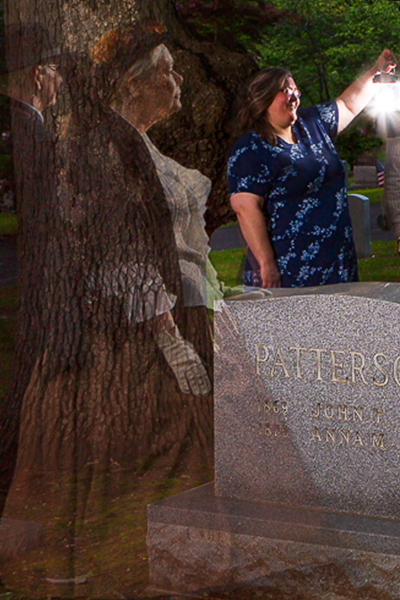 Proceeds from the tours and donations benefit restoration and preservation at Historic Doylestown Cemetery. 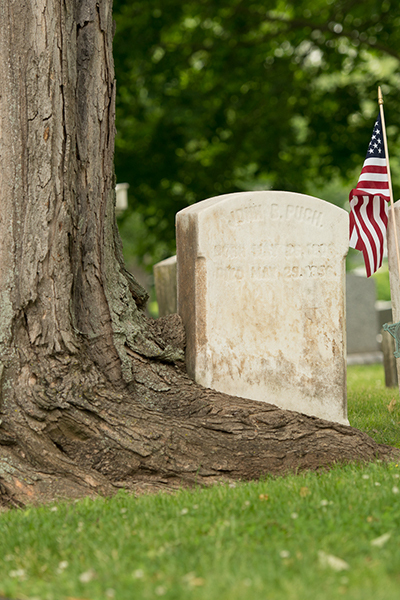 Download the Historic Doylestown Cemetery brochure. Guided Walking Tours are led by costumed guides on Saturdays at 10AM and Sundays at 1PM April - November. Guided walking tours last approximately 90 minutes - 2 hour. Established as a Garden Cemetery Doylestown Cemetery now curates an arboretum of over 500 trees, many native cultivars, and specimens.Take a walk through our arboretum of old-growth specimen trees and ornamental shrubbery, and visit our newly installed moss garden. These tours are led by horticultural professionals. Offered only on 5th Saturdays. Spring Tree Special. Tapping, cooking, and offerings of finished products; maple syrup, sugar, cotton candy & more. BYOP: (Bring Your Own Pancakes 😉 Since sap flow can be stalled by low temperatures, keep watching our website for the date. Doylestown Cemetery maple products are available year-round at the cemetery office. Doylestown has been the home of many interesting and important personalities. Captains of industry, discoverers, and inventors in science, adventurers, leaders in the world of art, literature, and culture, some of them known around the world. Meet some of the VIP' s who reside within the gates of our underground museum, and learn of their fascinating accomplishments. Every picture tells a story. The late 19th-century Victorians elevated death and mourning to a high art. Everything from food and clothing to grave ornamentation suffered from a grandiosity of embellishment and flourish rife with symbolism. Learn about the meaning behind some of these beautiful, intricately carved and sometimes unusual monuments. 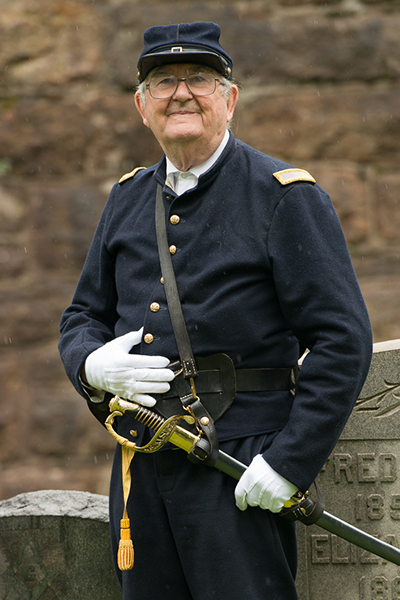 Meet some of the men from Doylestown who served in the great conflict called the Civil War. Some lost their lives on the battlefield, others came home to live out the rest of their life in their hometown. Over 200 Civil War veterans are buried here including five Generals, members of the US Colored Troops, US Naval Sailors, and the Surgeon General of the Union Army. Civil War experts and re-enactors will take you on an oral journey from Doylestown to the scenes of some of the Wars’ most desperate battles. Lighted by luminaries the cemetery takes on an otherworldly aura. Bring a flashlight if you aren’t too brave of heart, and a bag for treats. Our tour meets at the cemetery gate at 6:00 p.m.
After becoming the county seat in 1812, Doylestown became home to innumerable local, state and federal political officials, ambassadors, congressmen, judges, jurists, and legislators from all levels of political life and of both major parties. This tour is given only twice a year during Primary and General Election seasons.